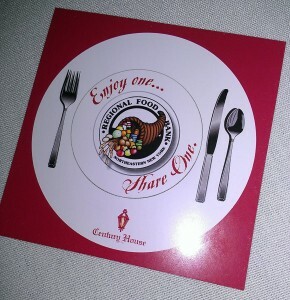 Century House donates a meal for every meal purchased. Lots of meals donated today! Today’s program included terrific presentations by Emily Thompson and Geoff Kirkpatrick. My piece was a Tech Smackdown meets Speed Dating session called Â “30 tools in 30 minutes.” Â I didn’t actually finish in 30 minutes and it was more like 4o tools. Great fun to see so many friends and colleagues. And meet new colleagues too.